This property is truly lakefront with a private boat dock. In the summer time you can enjoy swimming, boating, kayaking and other water activities. There are lots of hiking trails. Yosemite National Park is only 20 minutes away - 1 hour to Yosemite Valley and Badger Pass. The property offered is the guest house only. The main house is for our personal use. However, the main house will not be occupied during your stay and you will have sole use of the dock, beach, main house deck and grass area while you are there. We are located down at the falls end of the lake with an unobstructed, beautiful view of the lake. It is approximately 900 square feet so it would be perfect for one family. It is a 2 story home with a very narrow stairwell. If you would like to save the booking fee or just ask questions feel free to contact Cheryl at mccartinproperties at yah00 dot com or call her at nine four nine three one zero eight eight one two. PLEASE CHECK OUR CALENDAR BEFORE EMAILING US. WE DO KEEP OUR CALENDAR UPDATED. WE ONLY BOOK OUR CABIN MAY THRU NOVEMBER AND DO NOT BOOK FOR THE MONTHS OF DECEMBER THRU APRIL. ALSO, WE DO NOT START TAKING RESERVATIONS FOR THE SUMMER UNTIL APRIL 1st, AFTER OUR FAMILY HAS FIGURED OUT OUR SUMMER SCHEDULE. THANK YOU. We are a family of seven and live in Southern California. We have been coming to Bass Lake since the 70's. Bass Lake is a short enough drive from Southern California to come up for a long weekend. Depending on the season there is just so much to do it makes for a great family getaway. With Yosemite near by, fishing, summer boating on the lake, spring wildflowers, fall hikes, and occassional winter snow aroung the cabin, there is always something to do. The private dock is very nice and convenient to have. We have a nice beach and a beautiful lawn area. There are expansive lake views with Goat Mountain in the background. We are close enough to swim or paddle to the Falls Beach and go inner tubing down the falls. Hiking up the falls to Devil's Slide is also a nice morning adventure. We have recently completed a major renovation and have modernized all appliances and kitchen area. Goat Mountain in the background. We have a phone for local calls. Verizon Wireless and AT & T works well, no T-Mobile reception. Not sure about other providers. I am used to coming to the lake during the summer. This time I came up at the very end of the season to ride in the Grizzly Century bike ride. The lake was so quiet. Being lakefront was awesome! The price per night for a lakefront home was very reasonable. I plan on coming back to this location. Perfect Bass Lake getaway. Excellent location & accommodations. Amazing place! Our family loves staying at this home! Great views and perfect location. Bass Lake is our favorite family vacation destination. We have camped, stayed in cabins and rented a large house when we included extended family. We have loved every stay but this house is ideal for us, mainly because we are able to be so close to our boat and stay easily connected from the kitchen, to the decks to the beach to the dock. Perfect relaxation spot and the owners are very easy to work with. Thanks! We thoroughly enjoyed our stay at this home. Fantastic views and we loved spending time on the decks of the main home. The kitchen was just right, with lots of cupboard and counter space and all the gadgets you need for cooking. It was clean and comfortable. We hope to return! Thanks! This property owner went above and beyond with compassion and understanding. Unfortunately we didn't make it to Bass Lake because I tore my Achilles tendon just weeks before we rented the property. Being the mom of 4 it would have been too much for me even if I just sat on the beach with all the shopping packing etc... The owner put the rental back on the available calender before we even hung up. We were not eligible for a refund because it was within 30 days of our arrival date. The owner kept me posted and rented the guest house out within a week after I had my surgery and less than 2 weeks of our arrival date. I also received a refund check in only 2 days. These are the kind of property owners that I want to rent from. It seems to me they are not in it for the money even though its a business for them. She did all that for me while she and her family were leaving the country I am assuming on their family vacation. I sure hope to do business with these folks in the near future. It looks like they also have a place in Hawaii and Tahoe. I pray the good Lord continues to bless them abundantly. I am sure you will enjoy your stay knowing they are honest and compassionate people wish there was more of them around. Twenty minutes to Yosemite National Park, 1 hour to Yosemite Valley floor. 1 hour to Badger Pass ski resort. We only book for the months of May thru October. 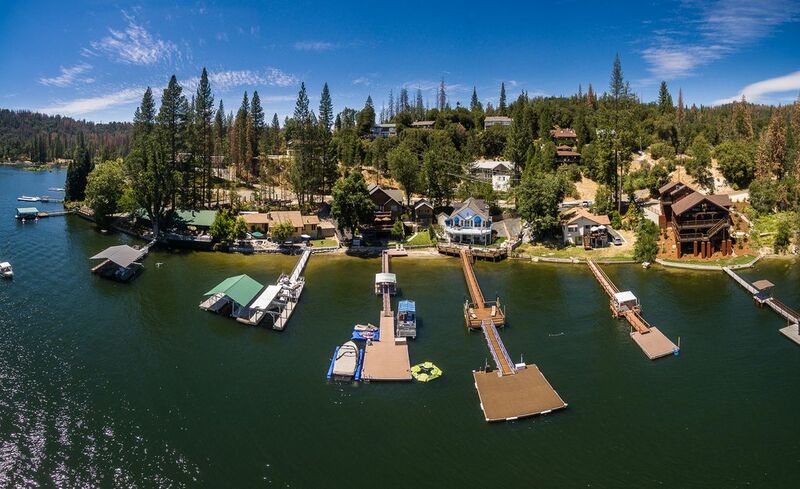 We do not start taking summer bookings until April1, after our family has figured out our summer schedule for Bass Lake. We require a 30 day notice prior to check-in date for a full refund of money. If cancelled after the 30 days, we refund if we can book the cancelled dates. WE DO NOT ALLOW PETS.